With the Festive season over it is time to get back on track with our fitness routines and with that comes the right nutrition. A few weeks back I was kindly sent The Pretty Fit protein for me to try out and test. 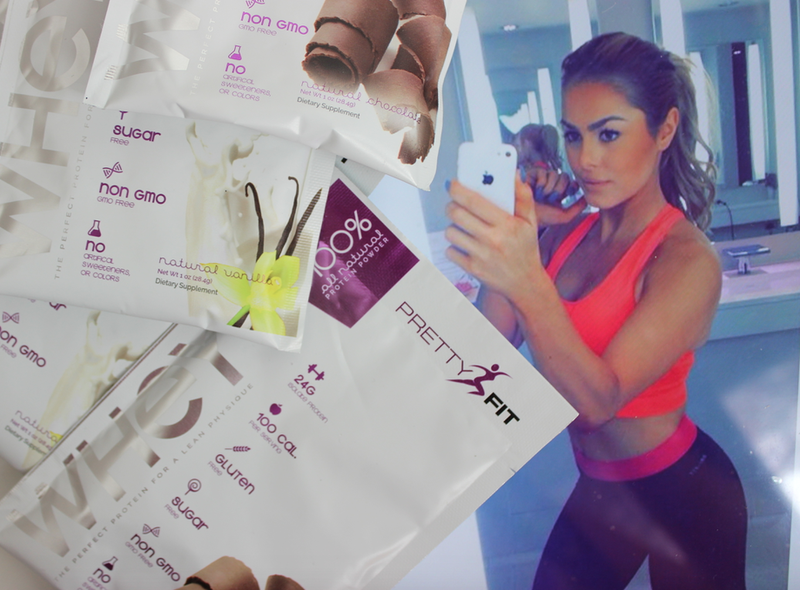 Pretty Fit is an online monthly subscription where each month you receive a box of fitness goodies, supplements , healthy snacks etc. Which personally I think is a great concept as receiving one of those a month is defiantly one way to keep yourself motivated to keep going and not give up. Protein is an essential part of your diet especially if you train on regular basis now I’m no expert but I know it aids your muscle repair growth and development. Being someone who loves fitness I have been using protein shakes for a while now however I am always on the look out for new products to help me achieve my goals. So I was very excited to try out the Pretty Fit Protein what really caught my attention is how natural their products are and the fact they are gluten free as I find gluten can upset my stomach unfortunately. As it is gluten free and contains digestive enzyme it is safe for any of you like myself who have sensitive stomachs . With the ingredients being natural the flavours are quiet limited there is chocolate and vanilla however I think both of them taste great (speaking from experience here) so personally I think the two flavours are just fine. The product comes in packets which is great as its already portioned out for you and makes it easy to take it with you on the go. Overall I am really enjoying using this protein at the moment and would highly recommend this to anyone who is looking for a natural ingredient based protein powder. Check them out here . Whats your favourite protein powder to use? You look incredible ! I need to get fit as well ! Great post! That protein sounds pretty good. At the moment, I'm using the Gold Standard Whey protein in french vanilla bliss. It is amazing!